On 15 September, it will be 10 years since the crash of Lehman Brothers which marked the beginning of the severest global financial crisis since the Great Depression, which had the potential to ruin the euro area and hence the EU. In the past decade the world has radically changed. The financial and economic crisis has ended but geopolitics deteriorated significantly. The world order is changing fast with the destructive involvement of US President Donald Trump. Europe has survived the crisis and today the Union is much more integrated but, in the same time, it suffers from deep internal and ideological tensions which will probably erupt catastrophically at the European Parliament elections next year when the future development of the Union will be determined. 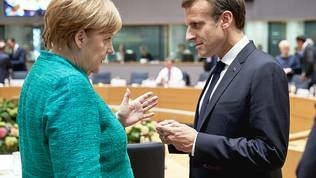 As always in history, France and Germany are trying to save the day driven by fears that, if EU breaks up Europe, will return to the times of world wars. Until recently, Paris and Berlin were the hosts of the EU of sorts, owners of the terrain in a manner of speaking. They imposed the rules and held the reins of the Union. However, some of the room-mates now have pretenses of their own and are loud enough to impose them. In 2010, France and Germany tried to put an end of the eurozone crisis by agreeing on the ill-fated Deauville declaration. This was in the autumn of 2010 - the year when Greece for the first time asked for a bailout and Portugal and Ireland were yet to request help. The crisis threatened, at the time, to destroy the common currency. To avoid this, Berlin and Paris asked for a serious reform of the EU economic governance to ensure much stricter surveillance of the member states' budgets, and to create procedures for economic policy coordination. Those ideas are at the core of the already functioning and even ignored European semester. In the Deauville declaration, however, there were some quite radical ideas which caused sharp reactions. The then president of France, Nicolas Sarkozy, and German Chancellor Angela Merkel demanded imposition of automatic sanctions for violation of EU's fiscal rules. The declaration, even today, makes all participants and witnesses of the euro area crisis shiver, especially those in the epicentre, Greece. "Whatever the intention at the time, the decisions taken in Deauville transformed a crisis which could have been contained into a fully blown-out systemic disaster", wrote the then finance minister of finance of Greece, George Papaconstantinou, in his memoirs "Game Over: The Inside Story of the Greek Crisis". He is not the only one who remembers Deauville with bitterness. The declaration caused even a major outburst by the otherwise quite constrained US treasure secretary at the time, Timothy Geithner, for whom Deauville was a disaster. In most recollections of experts and decision-makers at the time, the Deauville proposals are heavily criticised as very harmful and even insane. Berlin then conceded on the issue of automatic sanctions but the scars remained. Eight years later, Greece has exited its bailout programme, the euro area crisis is almost forgotten but, instead, the entire EU is enveloped by a deep ideological crisis which threatens the Union with a breakup. And, again, we have a Franco-German declaration. This time from Meseberg, agreed by Angela Merkel and President Emmanuel Macron in June. The Meseberg text and the context differ significantly from Deauville. The 2010 declaration was just over a page long and was entirely focused on the euro area crisis. The Meseberg document is several pages long and reflects everything that is vital for the survival of the entire EU - from external policy and defence, through migration, to the motive for its drafting - the future of the euro area. The Deauville summit in 2010 was to some extent a surprising and an unpleasant event for the rest of the euro area member states. The Meseberg summit was long-awaited, especially by French President Emmanuel Macron, who insisted the most on it. 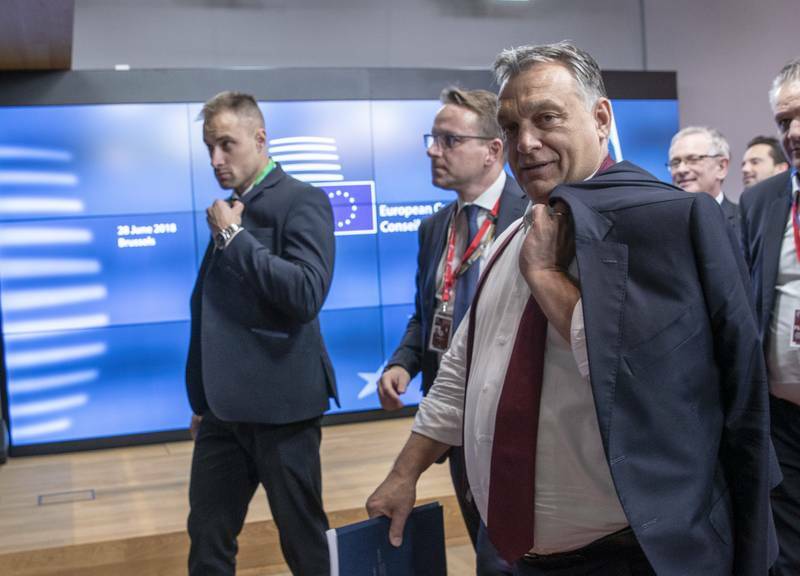 After the big pro-European bang which he appeared on EU political stage with, everyone was looking impatiently forward to see how big the new integration leap in the eurozone will be. As before, the new declaration, too, contains more ambition than circumstances allow but the difference is that now the Union is not forced to take urgent measures to contain the crisis. The 2017 atmosphere hinted that this time it might be different, and that integration could happen in a "peaceful" moment for the EU. Alas, elections in Germany broke this illusion to pieces. Initially, the summit was supposed to take place in the beginning of the year, then in March, in the end it took place in the very last possible moment - right before the EU summer summit on 28-29 June, when was the deadline to draft a new roadmap for reform, or rather an upgrade, of the euro area. Not only that it came too late but the Meseberg declaration had a very bad timing. That is why it is not surprising that its content is so comprehensive. The very first paragraph makes it clear that a lot of water went under the bridge between Deauville and Meseberg - so much that it reached the very foundations of the EU. 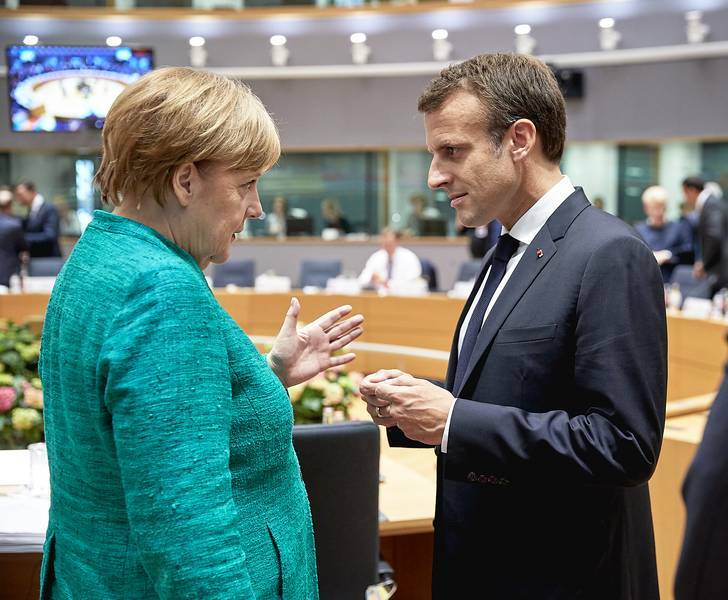 "France and Germany share a common ambition for the European project: a democratic, sovereign and united Europe, a competitive Europe, a Europe that is a basis for prosperity and defends its economic and social model and cultural diversity, a Europe that promotes an open society, based on shared values of pluralism, solidarity and justice, upholding the rule of law everywhere in the EU and promoting it abroad, a Europe that is ready to assert its international role to promote peace, security and sustainable development and be a leader in the fight against climate change, a Europe that successfully addresses the migration challenge". The declaration makes it clear that the stakes for EU's survival have grown much bigger than they were in 2010 when the US was still a strong backer and supporter of the EU, despite Timothy Geithner's rage, and sometimes Barack Obama's; Russia was not yet a strategic threat for the EU; the Middle East conflict still seemed manageable; and China had not yet turned into an equal global player with its own views on world order. That is why, at the time, the EU could afford dealing in piece with its euro area crisis. But today, the EU is left on its own in a stormy geopolitical sea. There are now serious discords on who should hold the wheel of the EU and what direction should it take. Angela Merkel and Emmanuel Macron tried, with their Meseberg declaration, to thud on the table and to remind everyone how it all started. Trying to outshout Viktor Orban, Theresa May, Matteo Salvini and Herst Seehofer, Merkel and Macron declared they would work for acceleration and efficiency of the decision-making process in external policy with the main aim being to finally realise the decades-old idea to introduce a qualified majority voting on foreign policy and security-related issues. Currently, these decisions are taken unanimously. The leaders of France and Germany believe that the EU needs new formats, like, for example, a security council of the EU. This idea is commensurate, as an impact, with the automatic sanctions in the Deauville declaration only without the destructive potential, due to the change of context and circumstances. The Meseberg declaration also talks of a European army, although these are not the exact words used in the document. Regarding the most divisive issue in the EU, migration, Meseberg talks of an overall migration agenda based on three pillars: external, along external borders, and internal. Beyond details, the declaration's message is to seek common solutions. Any unilateral and uncoordinated actions that break Europe apart and put Schengen in danger are condemned. The euro area has received the biggest attention in the declaration, but the spirit of Deauville, in terms of determination and even slightly arrogant ambition, is already gone. France and Germany propose what is already on the table or is even in the final stages, namely the upgrade of the European Stability Mechanism (the permanent euro area bailout fund) and its turning into a European Monetary Fund the aim of which will be to evaluate and monitor all future bailout programmes, which will be drafted after a mandatory debt sustainability assessment. The declaration says that the ESM incorporation into the EU legislation will be a next step but no specific commitment is made in terms of when. One of the controversial issues around the ESM upgrade is the inclusion in it of a backstop for the banking union, i.e. for the Single Resolution Fund (SRF). Berlin and Paris agreed the backstop to be in the form of a credit line which will be released only after a sufficient level of risk-reduction is achieved in the banking sector, which means reducing the level of non-performing loans, building insolvency frameworks and creating an appropriate legislation to fight money-laundering. It also says that the backstop should be established before 2024 and its size should not exceed the SRF size. The very formulation "earlier than 2024" is quite cunning but further in the document it becomes clear that in 2020 a report will be published on NPL levels. If it is assessed that risk-reduction in the banking sector is satisfactory a decision will be taken to establish the backstop. Given the current dynamics, a lot can happen by 2024. In the declaration, Germany very conditionally agrees on starting negotiations on the third pillar of the banking union - the European Deposit Insurance Scheme (EDIS). Berlin and Paris have a common position on a euro area budget aimed at increasing competitiveness, convergence and euro area stabilisation. It is proposed the budget to be introduced as of 2021, which means together with the next budgetary period of the EU. The Franco-German view on a common euro area budget is to be funded by several sources: national contributions, distribution of tax revenues, and European resources. The euro area budget will be pluriannual. The two countries agreed also to create a working group to study the issue of establishing a European unemployment fund. The aim is specific proposals to be drafted by the December European Council. A curious element of the Meseberg declaration is that it discusses a somewhat forgotten commitment from the times of negotiating the Lisbon Treaty - reducing the number of commissioners. Nothing specific is said on this issue, only that work is needed in this direction. But the very fact that it is mentioned is quite indicative. The declaration confirms the commitment to introduce transnational lists for the 2024 European elections. Such a commitment has already been made by the EU earlier this year but its mentioning in the Franco-German declaration is obviously aimed at reaffirming it. Unlike 2010, when the Deauville declaration was in the headlines of all European media and was a topic for weeks and even months, the Meseberg declaration was sidelined by the populist debate on migration and Greece's exit of its bailout programme. The first discussion of the document was during the June Eurogroup meeting when President Mario Centeno (Portugal, independent) defined it as "a clear demonstration of political will" to defend the euro from future crises. EU economic, financial and taxation affairs Commissioner Pierre Moscovici (France, S&D) said that the Commission welcomes the proposal by President Macron and Chancellor Merkel and that many participants in the Eurogroup meeting stated that the document could serve as a catalyst of the process. A large part of the Meseberg declaration is already being discussed in one form or another at working levels in the EU, and work on some aspects of it is already quite advanced, mostly on ESM upgrade and on the completion of the banking union. 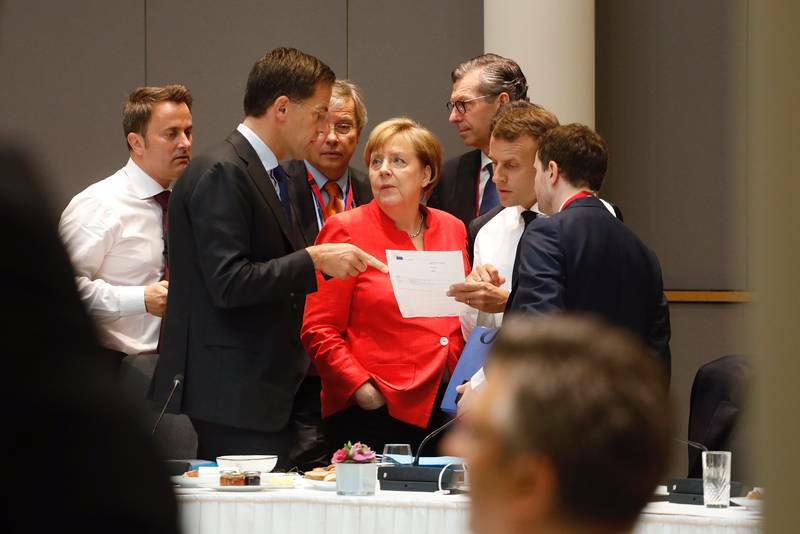 The euro area finance ministers worked hard in June to prepare the June EU summit when the leaders adopted short conclusions where they explicitly mention the Meseberg declaration. They believe that since during the Bulgarian presidency the banking package has been finally agreed now it is possible to be adopted by the end of 2018. They are convinced that work can now begin on drafting a roadmap to begin political negotiations on EDIS. The formulation continues to be cautious because drafting a roadmap to begin negotiations will take time and it is very likely that they will begin as early as next year. An important decision was to create a backstop for the SRF under the ESM. 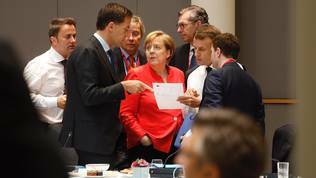 The leaders tasked the Eurogroup to prepare the relevant proposals by December. At its July meeting, however, it became clear that no one is in a hurry. Mario Centeno declared that by December work needs to be done on the ESM which includes several directions: 1. the common backstop for the SRF; 2. review of the ESM toolbox and, more specifically, safeguard tools and possibly the development of new tools; 3. stronger ESM role in bailout programmes; 4. debt sustainability; 5. review of ESM management. The Eurogroup also has a task to work on the ideas for a euro area budget. 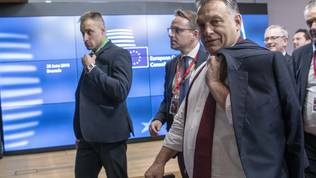 There are already two proposals by the European Commission on the table for a stabilising function and an instrument for reforms. Mario Centeno asked in a letter to European Council President Donald Tusk (Poland, EPP) this to also include a euro area budget and an unemployment insurance fund. According to him, all this will require much work and a much more serious concentration. What's important in his statement was that he said that all these proposals will not be viewed as a package. A failure or success for Emmanuel Macron? A year after his debut on EU summits, Emmanuel Macron might seem like a loser against the backdrop of his huge ambitions, summarised in his Sorbonne speech. Given today's political state of affairs in Europe, however, Macron is rather a winner. He managed to secure the Meseberg declaration, in whose text his handwriting dominates. Unlike Deauville, the Meseberg declaration is a symbolic gesture. Its aim is to show that the Franco-German motor is functioning and that Paris and Berlin do not plan to drop the EU reins. And something even more important, despite the return of migration as a problem number one for Europe, although there is no crisis, the French president has succeeded to keep EU's attention on the need to continue the deepening of euro area integration. This is a huge success, bearing in mind that even the recent island of stability, Berlin, has been shaken by a severe political crisis.